Chester County is home to eight premier cheese artisans, scattered throughout the rural countryside. 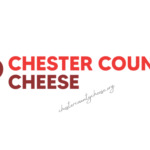 The map below lists the location of the member farms of the Chester County Cheese Artisans. Click on the map marker for additional information about the individual farm. Not all farms offer on-site sales or tours.